“Mental: a history of the madhouse” was a 60-minute television documentaryin the BBC Four/Open University “Out of Mind” Season, broadcast in the UK in May 2010. It told the story of the closure of Britain’s mental asylums. To quote the press release, “In the post-war period, 150,000 people were hidden away in 120 of these vast Victorian institutions all across the country. Today, most mental patients, or service users as they are now called, live out in the community and the asylums have all but disappeared. Through powerful testimonies from patients, nurses and doctors, the film explores this seismic revolution and what it tells us about society’s changing attitudes to mental illness over the last sixty years.” Powerful? Overwhelming. Among the interviewees were patients, members of medical and nursing staffs, the historian Dr Peter Barham, and Dr Henry Rollin FRCP FRCPsych, emeritus consultant psychiatrist at Horton Hospital, Epsom, and former Librarian of the Royal College of Psychiatrists. 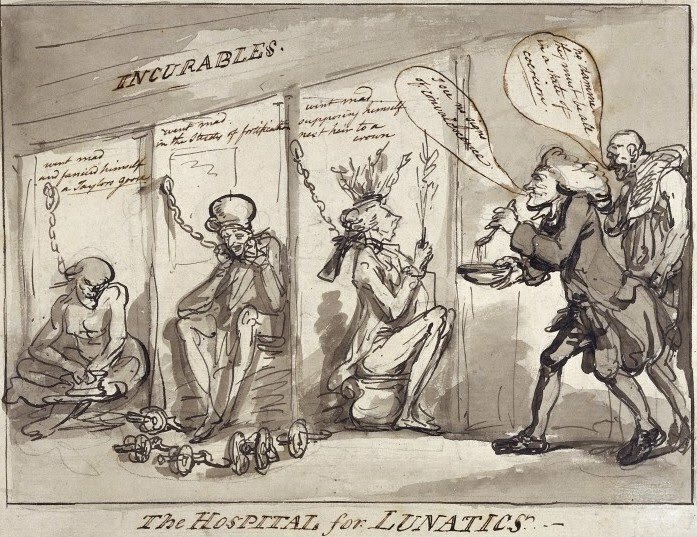 Dr Rollin described the grimly low levels of medical care in many of those asylums, and of care in general. Historic film footage of crude brain surgery was shown. Of prefrontal leucotomy Dr Rollin confessed “I had the misfortune to recommend sixteen patients [for the operation] … it was of no benefit whatsoever, and some of them had the tragedy of personality change.” It seemed at times that the only escape from the tyranny of routine lay in the menace of maltreatment. A former psychiatric nurse in Newcastle told of a difficult patient being dragged away and having a bucket of cold water being poured over him by a staff member who then jammed the bucket on the patient’s head. 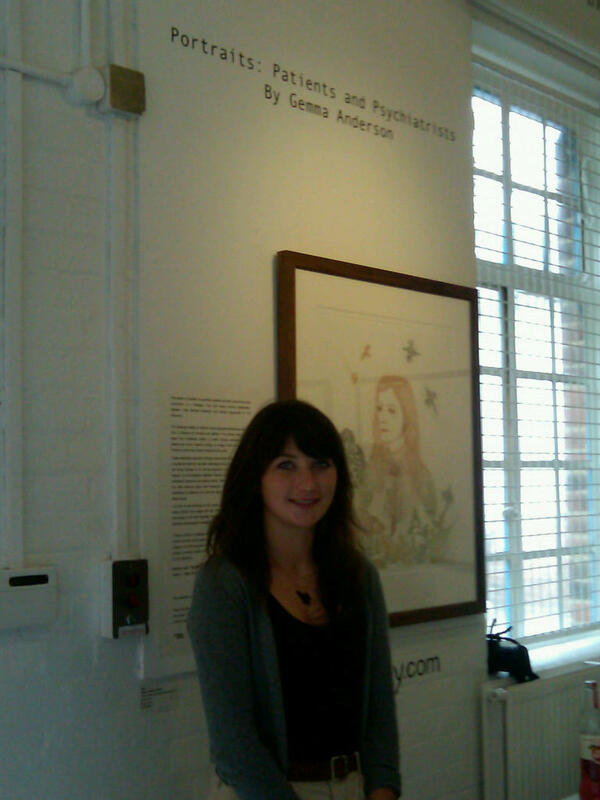 A young woman who suffered panic attacks went to one asylum and ended up staying inside for thirty-three years. As an illustration of a classic old-style asylum, the programme focused on High Royds near Leeds (illustration top), which had all the right qualifications: a Psycho-type silhouette at twilight, miles of corridors, once fine but now decayed Victorian decoration, the indispensable looming water-tower, and of course a proposal to turn it into luxury residences when it closed in 2003. The Wellcome Library has a large drawing made by an artist in High Royds in 2003-2004 as part of the ritual commemorations that were felt to be required at the time of its decommissioning. It looks like drawings done by patients to describe their gloomy life in the asylum. 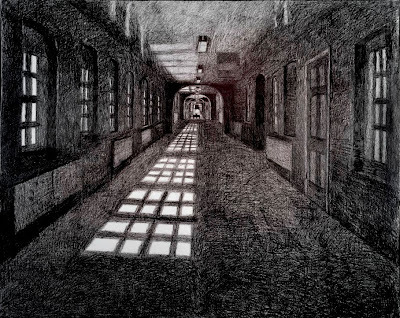 In fact, as film of the High Royds corridors showed, the drawing is merely an atmospheric representation of the actual interior in which patients spent their “empty and repetitive asylum life”. There was a “quasi-prison atmosphere” (Dr Rollin again). The film-makers found articulate people who were able and willing to describe their experiences at High Royds and other asylums, whether as patients or as staff. These interviews are priceless. 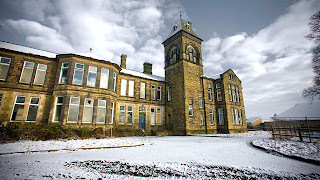 The film-makers were careful not to make High Royds seem like a scapegoat: after describing episodes of brutality towards patients, the commentary stated that there was “no evidence of this kind of treatment at High Royds” which on the contrary was “in the forefront of the drugs revolution” in therapy. Some of the reminiscences on the High Royds website are quite complimentary, though others, it must be said, recall much unpleasantness. Other asylums in Newcastle, Sussex and Buckinghamshire also featured in the narrative, often with superb historic film footage. 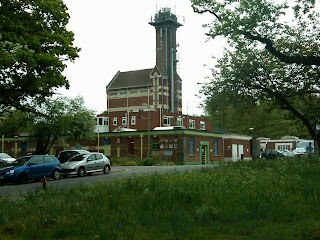 The film showed the long process leading to the closure of the asylums. The first real “breaking point with the Victorian period” (Barham) was the 1959 Mental Health Act. Dame Pat Hornsby Smith MP called for “sympathy and understanding” to be the principles underlying treatment of the mentally ill. In 1961 Enoch Powell as Minister of Health 1960-1963 started a war on the asylums with a remarkable speech seizing on the image of the “looming water-tower and chimney combined” as the emblem of the asylum. 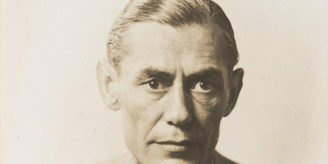 Powell urged “the elimination of by far the greater part of this country’s mental hospitals as they are today”. He lost battles but won the war when Care in the Community was introduced. But Dr Rollin was no happier about the new arrangements than about the bad old days of the asylum. “The whole concept of Community Care is a disaster: I don’t think the community cares” (NIMBYism was one of the problems he had in mind). Mental illness is always with us, but individuals and institutions can be better than the film’s account of what was offered in the asylum regime that Powell and others deplored. 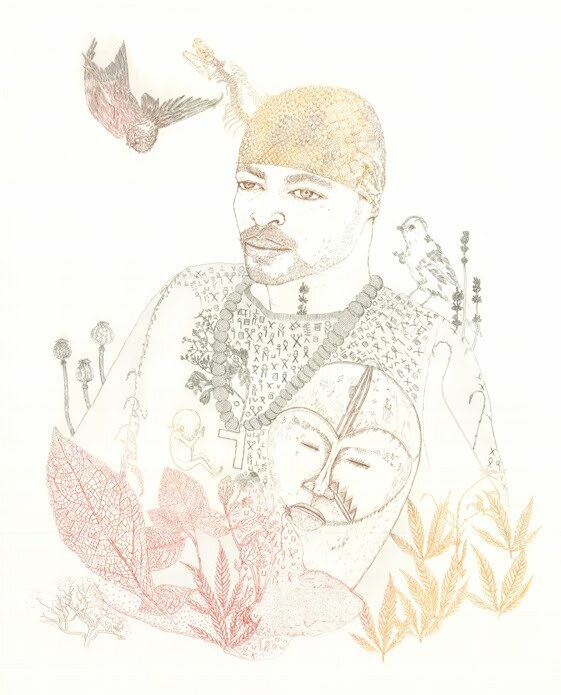 Last month I visited Bethlem Hospital to see an exhibition of a suite of portrait prints of patients and doctors at the Bethlem and Maudsley Hospitals in south London. 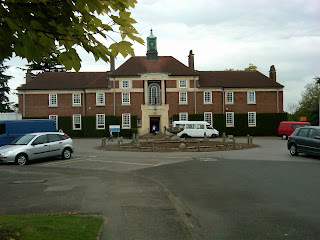 Bethlem Royal Hospital is now in the London Borough of Bromley, and is approached by Monks Orchard Road, a leafy avenue with fine large houses down one side and the hospital’s extensive grounds on the other, shielded by attractive woods and shrubberies. Inside the hospital grounds, as open as any ordinary hospital, one almost seems to be arriving at a National Trust country house: there’s the chapel, there’s the main house, where’s the old stable block for cream teas? On the other side of a meadow of wild flowers is a low building marked as The Bethlem Gallery, where the exhibition had been installed. (Note, behind the gallery, even here is the inevitable “looming” water-tower.) 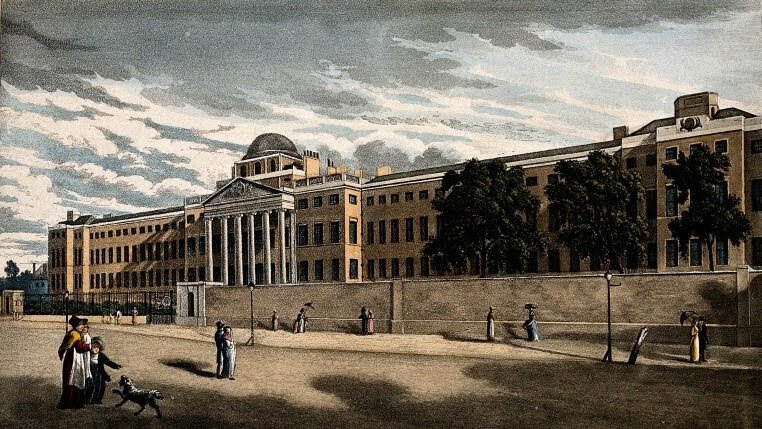 Most of the other people there are staff, and talking to them, it is striking how many of them are aware of the hospital’s infamous history in formidable and less therapeutic buildings, first in Robert Hooke’s palazzo in Finsbury (1676-1815: below left) and later in the building that now, shorn of its wings, houses the Imperial War Museum (1815-1930: below right). They appreciate the present environment of the hospital, and it is hard to believe the patients do not do so too, at least those in convalescent mode. Two views of Bethlem: above left, drawing by Thomas Rowlandson, 1789; above right, coloured aquatint, 1817. Wellcome Library nos. 536228i and 39200i. Access to the Gallery and to occupational art-activities is provided. The portraits on show in the Gallery are colour etchings by Gemma Anderson, a talented artist from Northern Ireland who trained in printmaking in London at the Royal College of Art. The artist is present (right), and it is touching to see her talking to a former patient, “Frederick”, who sat to her for his portrait (below). 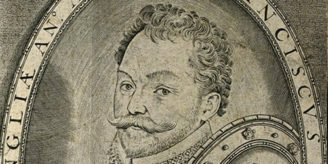 In the clear light of the white-walled gallery, the etchings are beautifully exhibited in frames, each one a finely wrought tribute to an individual person. So striking are the portraits, and so unusual, that the Wellcome Library has bought the sixteen prints that form the complete set Portraits: patients and psychiatrists. They mark a new step in psychiatric portraiture that mirrors the transition from the closed asylums of the past to the hope for a better present and future. They deserve a notice of their own, if not more than one: watch this space. Director: Chris Boulding. Producer: Adam Jessel. Executive Producer: Denys Blakeway. Archive Researcher: Peter Scott, for Blakeway Productions. No longer available on television but the Wellcome Library has a DVD of it.